We love that Cinemax’s next venture into original programming is a period drama. And anytime Steven Soderbergh is involved in a project, we sit up and take notice. On top of that, Clive Owen makes his first foray into American series television. Coupled with a great supporting cast and an intriguing premise, we’re pretty sure The Knick will become appointment television for us. 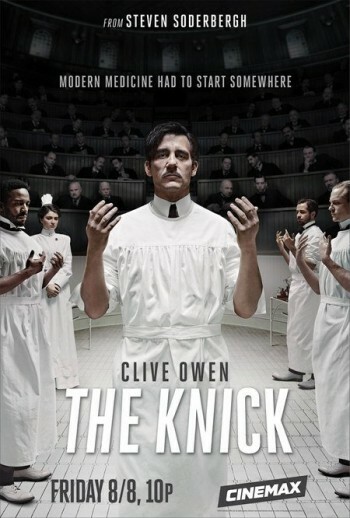 In 1900, John W. Thackery (Clive Owen), a brilliant yet tortured doctor working at the Knickerbocker Hospital in New York, ascends to the role of chief surgeon after the unexpected departure of his mentor, J.M. ChristiansenÂ (Matt Frewer). Though Thackery wants Everett GallingerÂ (Eric Johnson), his own protÃ©gÃ©, to take over the assistant chief position, Cornelia RobertsonÂ (Juliet Rylance), daughter of the hospitalâ€™s major benefactor, insists he hire Algernon EdwardsÂ (AndrÃ© Holland), a talented black doctor who trained in London and Paris. 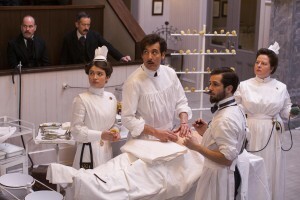 Edwards encounters enmity and resentment on his first day at the Knick, but his desire to remain prevails after joining Thackery, Gallinger, Dr.Â Bertram â€œBertieâ€ Chickering, Jr.Â (Michael Angarano)Â and Nurse Lucy ElkinsÂ (Eve Hewson)Â in the operating theater for a daring surgical procedure. 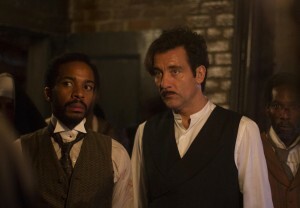 The Knick premieres on Friday, August 8th at 10/9c on Cinemax. Images courtesy of Mary Cybulski/Cinemax.